The humble panda car is part of a fleet of vehicles that provide a backbone to the world of policing! Whether it’s the humble SNT Corsa, the 15-year-old PSU Sprinter or the brand new 5 series that the traffic sergeants take ownership of, without cars we would not be able to do our job. We at Crimefuzz have been doing some field research and have come up with a new vehicle recommendation! Most have probably written of the Nissan GTR, in both senses of the phrase, because of its high price and running costs. We think these are only small issues and to be frank, if you don’t ask you don’t get! After test driving the GTR, in the picture below, we believe there are definitely some glowing characteristics that the GTR possesses that makes it a perfect response car candidate. The Speed. believe it or not, the GTR is quite fast with a 560bhp 3.8 Twin Turbo V6 mated to a double clutch auto box making it capable of reaching 60mph in just 2.8 seconds and a top speed of 196mph. This is very useful for a response driver because they will be able to get everywhere faster meaning they will have more time to arrest people. Coolness. Due to the coolness of the GTR it is likely that people will easily spot it when officers are trying to get through traffic! Unfortunately a bullhorn and sirens don’t always do the trick so maybe we should try using better looking cars so people notice them! Practicality. The GTR has the perfect level of practicality, the back seats have so little leg and head room anyone in custody would be completely immobilised making the journey to custody safer for all involved, this not only saves resources due to not needing a van but also saves time. The boot has enough room two officers’ kitbags, a cone or two and a dismantled “POLICE SLOW” sign that doesn’t fit back together properly. The door bins are large enough to fit a mouldy banana skin and a few empty coke bottles. Handling. The GTR makes use of several electronic systems, far too complicated to understand, to deliver ‘sharp as a knife’ handling even in the most incapable hands! Corners are a breeze at any speed making it a more effective response car than a base spec Astra estate. In conclusion the GTR is possible the best panda car a force could ever possess! Joking aside, the GTR is a fantastically capable car, in most cases far more capable than any driver! 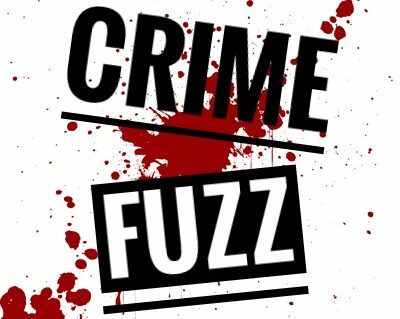 It definitely gets the CrimeFuzz.com seal of approval! If any senior officers are reading, buy a GTR because you’ll then be the coolest force in the country! Next Breaking the Law? : 5 of the Strangest Traffic Laws!